I think it would be nice to have a "friends list" on Stack Overflow. This would allow us to be able to follow the questions and answers that are posted by users that we want to watch/monitor. I suggest it be implemented in the same fashion as DotNetKicks.com; where you can add someone to your "friends list" without them needing to approve you the way that other social networks do it. It should be completely open for us to add anyone to our "friends list" that we like. I would call it favorite user. Just like I can add a question to favorite I add a user for later revisit or to see what questions this persons asks or what answers the person provides. If you have a friends list don't you think you tend to upvote your friends because they are your friends, instead of the content of their posts? We are all friends here! right? So why would we need a friends list? Some are objecting to the term "friend" as being too facebooky. How about "trusted responder", or "person known to answer questions well"? I'd like a way to know that, say, Alex Martelli has answered another Python question. Why? Not because Mr. Martelli is my friend -- he doesn't know me from Adam. It is because I almost always learn something from reading his answers. Same with S. Lott and several others. This would be a useful feature, IMO. I think this is a fantastic idea. I do not see it as social networking. I don't foresee this feature making stackoverflow like a facebook, myspace, or twitter. But, there are a few guys that I work with that use SO and it'd be nice if there was a very easy way to see what my "colleagues" are posting. Yes, I could certainly look at each one of their user profiles, but the view would certainly be a great feature. I would even take it further and suggest maybe having a colleague/buddy/friend and an ignore list. A 'follow user' feature would provide another data stream for all the reputation algorithm trickery that makes SO/SE sites so powerful. Lifehacker added a system like this to provide smart filtering in their comments due to the general overload and lack of hierarchy. It provided a disincentive to post meaningless "first" type of comments since followed user comments would rise and it empowered individual users to filter comments to their liking (e.g. snarky and funny vs. information rich, etc). LH also used aggregated follows as a way to promote certain users generally. https://stackoverflow.com/users could offer a 'following' sort (tab). Like the user tab 'favorites' for referring back to questions you bookmarked, a 'following' tab could list questions involving those you follow, which could then be refined by 'questions' 'answers' 'accepted answers' etc. To avoid the "club mentality" some seem to fear and to avoid social-network-ishness...simply to not display 'following' lists publicly or reward following type behavior like showing a number of followers a person has, etc. Unlike the others around here, I still think the usage for this is sound and well-founded, so I created a browser addon that highlights posts by your favorite users. Professors, TAs, teachers etc might send their students here, but want to clean up any messes they make. People can keep track of whats bugging their colleagues. If you're mentoring someone (like in the Google Summer of Code), you can make sure their questions get answered. You're more likely to do the legwork for a real-life friend than for a random stranger. You're more likely to feel comfortable rebuking a real-life friend that a random stranger. Some people just give great thorough answers. There has been more than 1 person I've stalked in this way already, its just not as convenient now. I believe idea of following someone would be very useful. I often found such great answers by some users and I would like to have a way to follow them easily. 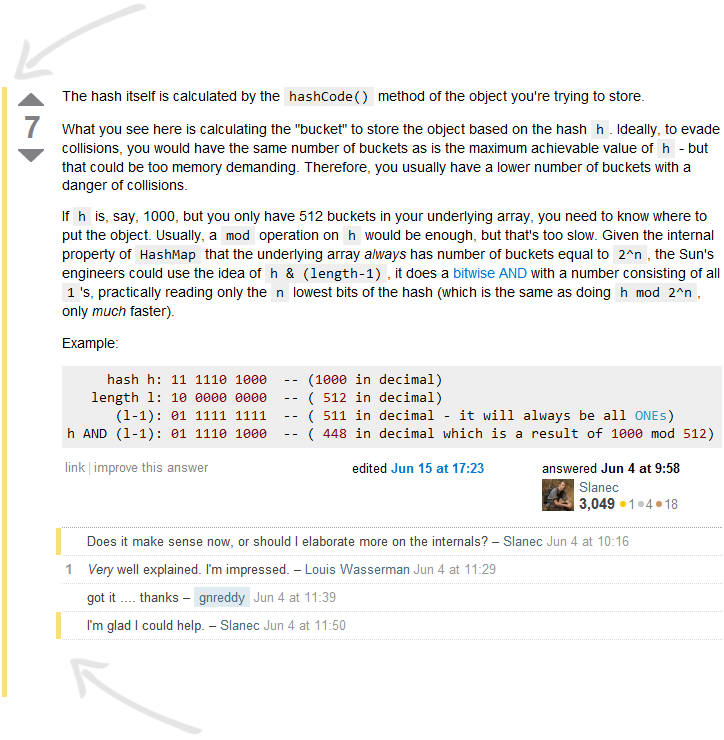 I also use StackOverflow like a blog, I search for interesting topics just to learn more about them. He his actively answering to topics that I care about. He has asked a huge number of questions in which I'm interested in. He has an interesting profile with useful links. He seems to be an expert in topics that I plan to learn. The "favorite users list" is only visible to the owner of the list. There is no way to know or be notified if a user added you to his list. We maintain the fact that users cannot contact each other through the website. It's real shame this has been declined. I'd like to be able to quickly go to my colleagues and see their questions answers from inside the site. After much deliberation, I've decided I might have a crack at implementing a friends/enemies system. Any questions by 'friends' would be highlighted and questions by 'enemies' would be hidden by default, with the option to show. There would be a sidebar at the right allowing you to click on a user, and show all questions by that user. The same with enemies, if you wanted to see them. When I say 'friends', I mean colleagues, and people who may have shown an interest in your questions in the past. I suppose this could be expanded to create automatic relationships with people who often participate in your questions. When I say 'enemies', I mean thankless users with low accept rates who clog the tubes with their constant questions, but never take the time to accept any, and also people you decide you don't like for whatever reason (flamers?). There... I've laid out a plan, and now I've blogged about it! Feel free to beat me to the punch! A way to favorite or follow track users would only be a way to inadvertently game the reputation system solely based on subconscious human nature. People with lots of followers would get even more up votes from the acolytes no matter how flippant, trivial, incomplete and incorrect their answers might be. People with no followers would most likely get ignored even with better more complete and accurate answers. This would turn the reputation system into a popularity score, more than it already is. The inverse is also just as true, create an enemy and they could more easily follow you and serial down vote everything you answer or ask. That will make the sites better how? I don't want to have to manage yet another list of people I don't want tracking me, I don't want to manage yet another list of people I have to constantly respond to requests either. It would just encourage newbies to think that stackexchange sites are FORUMS! There is already this tendency for new users to treat all the stackexchange sites as discussion forums. Nothing should be done to encourage this behavior and increase the load on the community and moderators especially to police questions that clog up the works. It would also signal a similar shift in policy to long existing members as well. The RSS feeds already do what a favorite would do. Use an existing 3rd party aggregation site like Delcicous.com to bookmark these feeds and aggregate them and publish and share them. Use Pinterest or Bo.lt as well? While we're at it, how about automating up/down votes for your "friends" and "enemies"? We could reduce our brainless clicking by 80%. Seriously, Stack Overflow is a social website, and there is a science behind creating a good social website: a huge amount of work and thought goes into optimizing the incentive structure to connect useful information with those who need it. If we add social networking features to the mix, it will be that many more degrees of freedom the developers have to optimize, a whole new set of biases to deal with. This may not seem so bad: how could more degrees of freedom hurt the optimal solution? Well, keep in mind that the optimal solution for the user involves many more websites than just SO. If you want to follow a particular user, you have twitter, facebook, blogs, etc. It's SOs orthogonality to these sites that makes it able to contribute to the global optimum for the user. By limiting ourselves from falling into the "social network" fray, we're providing something that social networks, by construction, can't: a level playing field where people from different programming backgrounds and traditions are exposed to ideas outside their normal sphere. Whatever it's effect on SO as a be-all and end-all of social websites, adding friends to SO would hurt the global user experience by encouraging enclaves within the community. I say we stick to doing what we do best. User RSS feeds (already implemented)? SO is not social networking. Eventually it will happen, just not yet. As various ppl have said or alluded to there is a fear that this feature would cause grouping within SO and mean certain "groups" wouldn't answer questions from other "groups" etc, or perhaps just lead to people only being interested in answering questions from their own "group" which of cause is against the whole ethos of SO to begin with. Most of us like helping randoms as well as people we know. Ultimately the question is more important than who asked it. Having said that however its not hard to imagine that with the mainstream use of SO and its related sites (not all programmer related) the RSS option may start to be seen as more limited. Also the sites creators may wish to have some type of interop between social networking sites and SO stacksites to avoid precisely the type of problem that answerers on this question are worried about... namely for SO sites to become "Social networking lite" sites, which of cause will never be allowed to happen. You could implement this via a little GreaseMonkey script. It can access a browser database, so you can monitor whatever you want. A little inspiration is the VZ Tools (yes, it's German). There you can see what's happening with your contacts. If you had a list of favorite users, that worked like a Twitter timeline, I think that'd be useful. It would be the same as the "Favorites/Recent" tab, except what it would follow is not recent changes by question id, but rather recent questions or answers by user. From some answers, I have seen suggestions about choosing your 'heroes', people you follow and see their latest posts etc. That sounds better, however, it may induce a slight element of bias too I am afraid ( if that person answers your question ). If you want to roll your own cause you're impatient, you could do this pretty easily with Yahoo Pipes and the Users' Recent Activity feed. and use it to rewrite the site's question list. The process is described here. As implemented, it lacks any UI for "friending" -- the list of friends has to be updated manually. But I imagine that a sufficiently motivated SO user could improve the process with a userscript: insert "friend" button into profile pages, and upon a click add the Id from profile page URL to the list of friends. If you'd like to collaborate questions and answers with your teammates or colleagues, you may want to check out the Stack Overflow Channels. It does not come with a "friends list" feature, but it sounds close enough. However, it is currently addressed at the companies only, but maybe in future it can be used for universities, local meetup group or closed friends. Otherwise, you can always propose some specific use case for it. Instead of a friends list, upvote your favorite users. You can track them later and also at the same time they get their own points much like questions and answers. Not sure if you should be able to downvote users though, that's just mean. I agree. Once you add social networking to a stack site, it would ruin it. Wow! Now users of big tags like c#, java, php etc can friend exclusively among themselves and form big sub-communities within SO and post questions/comments abusing each others' language/features. I'm not saying it doesn't happen at all now - but this will make it official. In the GTUG many of us are single developers. We struggle with questions just like the next person but we rarely know of each other what we are working on or are stuck on. It would be nice if we could help each other better. Often another person will already have the solution, especially among equals, like in a GTUG. Rather than internalizing this discussion, I'd like to see favorited users or a network of friends, out of which suggested questions pop out. I think this would bring even more questions to SO, rather than incurring favoritism as is suggested around here. I have seen other questions on here about how a user could filter out questions from other users (such as "Sort questions by user reputation"). As stated in the post, this sort of filtering will move users away from an open Q&A style site, and would provide a simple way to ignore new users. On the other hand, it may be really interesting to have something like this that was not entirely meant to be social - for instance a favorite users section (similar to the favorite tags section) - that would allow questions asked by favorite users to be calculated into your "homepage" questions. This could allow SO to maintain its identity as NOT a social network, while still allowing for some, albeit minuscule, social or associative behavior. Not the answer you're looking for? Browse other questions tagged feature-request status-declined friends . Is it possible to follow a user automatically? Social groups. How to get notification when a friend asks a question?